It doesn't matter if you love them or hate them, it certainly looks like the selfie sticks are going to stay in the Industry for at least 4-5 years unless they make super cheap drones. We have been observing the growth of these arm extenders all over the world, even in amusement parks, treks, and museums. 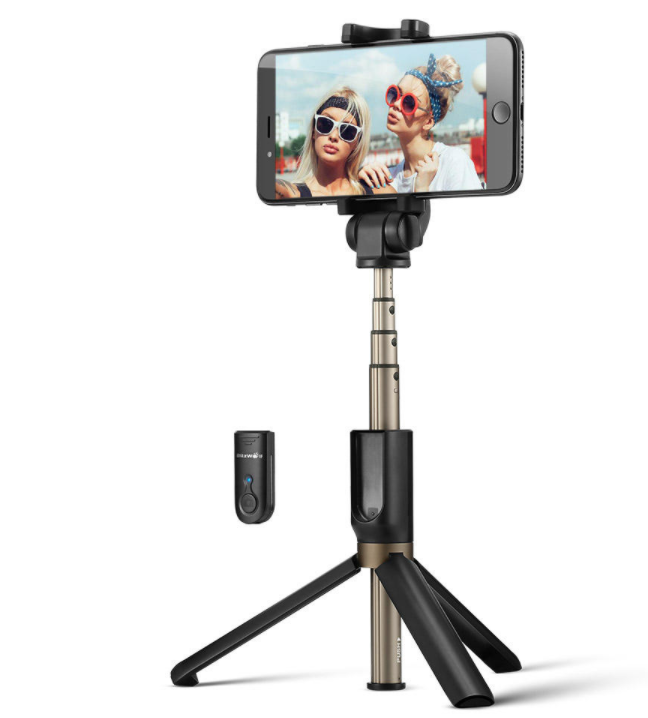 Now, selfie sticks would not be the most significant invention in the tech and photography world, but we did come across the Blitzwolf Bluetooth selfie stick that boasts an excellent build quality, has a lot of exciting features and is affordable. So, let's get started with our review and we'll dive deep into all the things that this selfie stick has to offer. 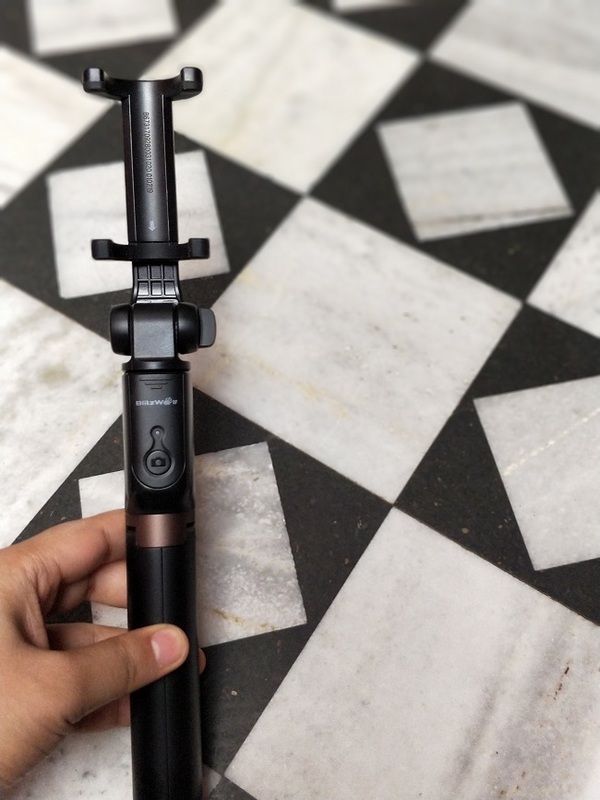 In terms of design, Blitzwolf Selfie stick comes with the unpredictable plastic and metal build, which also makes the stick more lightweight and is easy to hold. In the shrunken form, the stick fits under 9 inches, but when fully extended, the Blitzwolf selfie stick measures almost 3 feet. That is plenty of stretches for you to fit all of your friends into the frame. The build quality is also great, and the plastic handle has a slightly matte finish which provides an excellent grip so the stick won’t be slipping out of your hands while you're trying to capture the perfect moment. Blitzwolf Selfie Stick extension body of the selfie-stick is made of locking alloy tubes that support the selfie stick to enlarge and compress by merely twisting and pulling it from the end. Moreover, the device mount, over at the top of the stick stretches to accommodate both large and small smartphones easily. We didn't even have trouble getting our huge One Plus 5t fit securely. 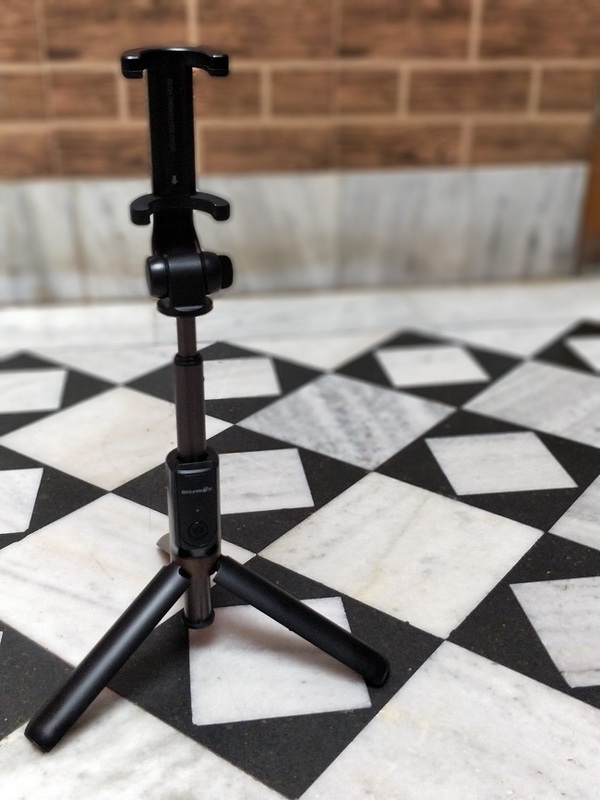 The mount can also be rotated 180 degrees to fine-tune the composition, and there is also a finger screw to lock the mount in place once you settle with the right angle. Blitzwolf Selfie Stick has buttons on the handle of the monopod selfie stick, and you will find considerably more than just a shutter button. This ultimate four button selfie stick connects to your device via Bluetooth, and there's also an On/Off switch on the right side of the stick for power. Next, to it, you'll find yourself with a micro USB port for charging this Bluetooth selfie stick. Moving on, there's a button for switching lenses on the top of the handle on the stick. So, you can easily switch between the front and back cameras of your smartphone, along with buttons for zooming the lens in and out, and finally a shutter button for getting the final picture. Each and every button is laid out so they can the user can easily reach them when using the selfie stick with just one hand. How to use the BlitzWolf Selfie Stick? So, we figured out that setting up and using this Blitzwolf selfie stick is pretty simple and straightforward. After unboxing the review unit, you need to switch on the selfie stick, and then you have to discover and connect to it through the Bluetooth menu on your smartphone or device. We savored the fact that we did not have to join any sort of wires to our phone since the connection was established over Bluetooth. Also, elongating the selfie stick is quick and easy, which makes setting up for the pictures much quicker. But the usage of this Selfie Stick doesn't stop here. To take over the full control of this shooter, you'll need to download the Blitzwolf Shutter App. The Shutter app is available for both Android and iOS devices and is pretty small in size. You can download it for your phone free from their respective app stores, and you can use the app to click pictures more efficiently. The app is comparatively minimal as it features a zoom indicator and options to preview photos. There is also a Flash toggle, Record button, and Setting menu with some more options. The app works quick and saves you a lot of time while capturing the photos within seconds of the moment. The one great feature that the company could add would be launching the Shutter App automatically whenever you click the capture button on the Selfie Stick for the first time. All in All, this was the best and handy selfie stick that we came across with. It is reasonably cheap, and you can purchase the Blitzwolf Bluetooth selfie stick for approximately $17 on Amazon & BangGood websites as they now support International Shipping. The craze of taking weird duck faced selfies isn't going anywhere, so get one for yourself this Christmas and capture those amazing moments. Who knows, you might click a picture with the Santa! Jokes apart, it is a great device and you can ask any query regarding the Bluetooth Selfie Stick in the comment section below.